Winchelsea Wonders give us Barrabool! So just who are the Winchelsea Wonders? A pair of wonderful ladies who are constantly doing indexing projects for the Geelong & District database. Joan and Di are from the Winchelsea & District Historical Society. Their most recent project has been the Shire of Barrabool rate books 1869-1901. They have indexed every five years but have access to the interim years if you are “missing” your ancestor in that period. The indexed rate books include 5,204 entries. 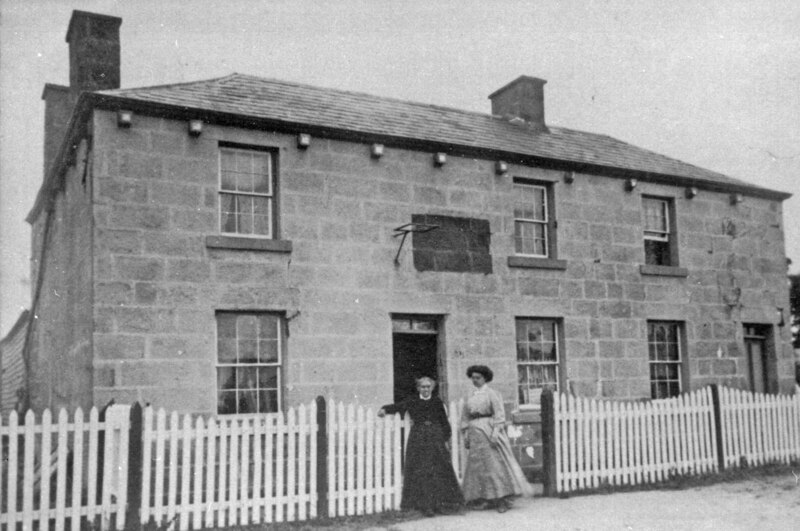 The Barrabool Inn at Ceres [photo above] can be found in the index in 1869 under the ownership and occupation of James Parsons. He “inherited” this imposing establishment by marriage. The former owner, George Cartwright from Yorkshire, died in 1868. His widow, Eliza, carried on the business until she married James Parson in 1869 when the licence was transferred to him. Thank you from all of us to our Winchelsea Wonders! Think of them while you search the Geelong & District database for your ancestors. I did say the Winchelsea girls were wonderful!